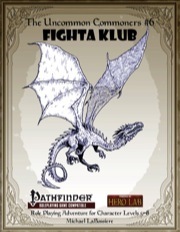 "Fighta Klub" is the sixth book (of seven) in The Uncommon Commoners campaign series. In this semi-epic campaign, the uncommon commoners will fulfill their destiny. Or die trying. Or both—if their destiny is to die trying. 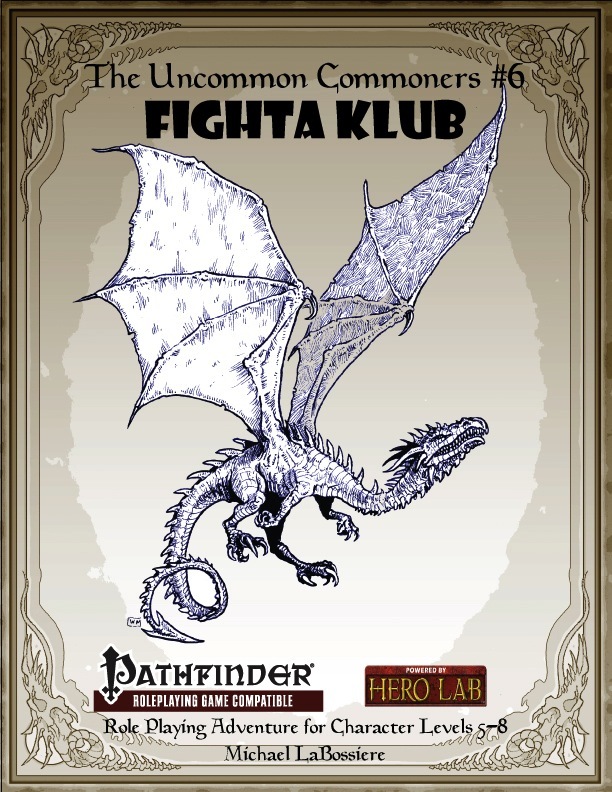 The Uncommon Commoners #6: "Fighta Klub" is a Pathfinder Roleplaying Game compatible adventure. It is intended for a party of 5th-8th level uncommon commoner characters. While the adventure is written to be humorous and fairly light, it is also designed to be suitable for serious game play.